Harcourt, W. and I.L. Nelson (eds.) 2015. 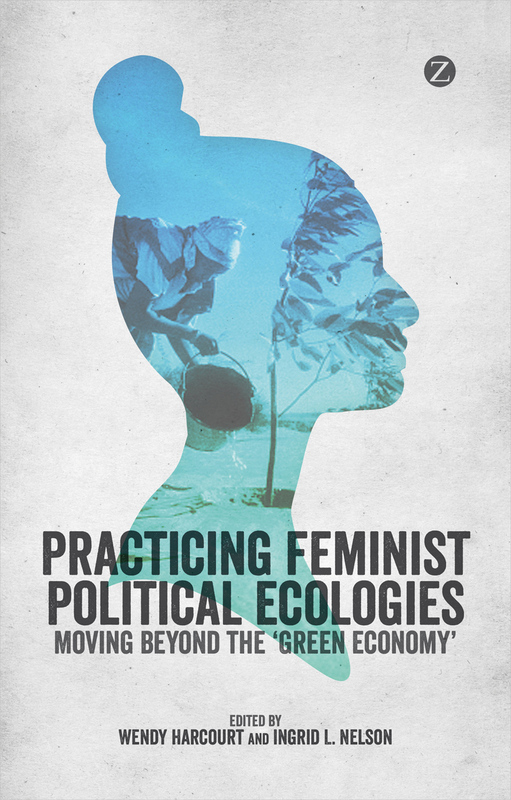 Practicing Feminist Political Ecologies: Moving Beyond the ‘Green Economy.’ London: Zed Books. Nelson, I.L. In Press. Interspecies care and aging in a gorilla 2.0 world. Geoforum 0(0):0-0. Davidov, V. and I.L. Nelson. 2016. Introduction: It’s about time: Temporality as a lens for NGO studies. Critique of Anthropology 36(1): 3-12. Nelson, I.L. 2016. Sweeping as a site of temporal brokerage: Linking town and forest in Mozambique. Critique of Anthropology 36(1): 44-60. Nelson, I.L. 2013. The allure and privileging of danger over everyday practice in field research. Area 45(4): 419-425. Corriveau-Bourque, A., Nelson, I.L., Pritchard, M., Stanfield, J.D. and J.D. Unruh. 2013. Impacts of forest-related large-scale land acquisitions in the Indian Ocean world. Journal of the Indian Ocean Region 9(2): 208-226. Nelson, I.L. 2016. Responding to Technologies of ‘Fixing’ ‘Nuisance’ Webs of Relation in the Mozambican Woodlands. In W. Harcourt (ed.) The Palgrave Handbook of Gender and Development: Critical Engagements in Feminist Theory and Practice. London: Palgrave Macmillan, p. 251-261. Nelson, I.L. 2015. Feminist political ecology and the (un)making of ‘heroes’: encounters in Mozambique. In W. Harcourt and I.L. Nelson (eds.) Practicing Feminist Political Ecologies: Moving Beyond the ‘Green Economy.’ London: Zed Books, p. 131-156. Harcourt, W. and I.L. Nelson. 2015. Introduction: Are We ‘Green’ Yet? And the Violence of Asking Such a Question. In W. Harcourt and I.L. Nelson (eds.) Practicing Feminist Political Ecologies: Moving Beyond the ‘Green Economy.’ London: Zed Books, p. 1-26. Morris, K.S., Nelson, I.L., Méndez, V.E. and S.H. Ali (Eds.) 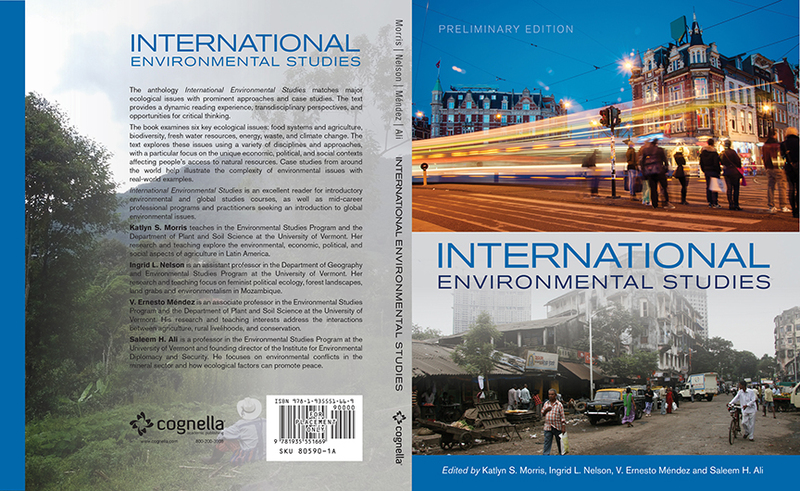 2015. International Environmental Studies (preliminary edition). San Diego, CA: Cognella Academic Publishing. Nelson, I.L. 2012. A Feminist Political Ecology of Livelihoods and Activism in the Miombo Woodlands of Zambézia, Mozambique. Doctoral Dissertation, Department of Geography. Eugene, University of Oregon. Nelson, I.L. 2006. The Practice and Potential of Participatory Geographical Information Systems in Mozambique. Master of Philosophy Thesis in Geographical Research, Department of Geography. Cambridge, University of Cambridge. Nelson, I.L. 2005. What’s in the Grass? The Political Ecology of the Lawn in Hanover and Lebanon, NH. Senior Honors Thesis (awarded High Honors), Department of Geography. Hanover, Dartmouth College.